Totto Pastime received her M.Sc. from the National Institute of Virology Pune. She is currently completing a project on translational immunology and is eager to understand more about virus-host interactions. We are all familiar with the severity of HIV. Massive laboratory research efforts to permanently suppress the virus have been underway for years, and current anti-retroviral therapy has vastly improved HIV morbidity and mortality rates. Nonetheless, there is still significant progress to be made on one of humanity’s worst pandemics. Often, when studying diseases, we forget that nature has its own ways of staving off pathogens: according to a few decades of research and a touch of serendipity, there is a mysterious virus that may be able to hinder HIV. Despite this potentially ground-breaking news, the virus has an unremarkable name and is not at all well-known: it is called GBV-C, or GB virus C, also referred to as hepatitis G virus. Here is a glimpse into a tale of Virus vs. Virus, GBV-C vs. HIV. 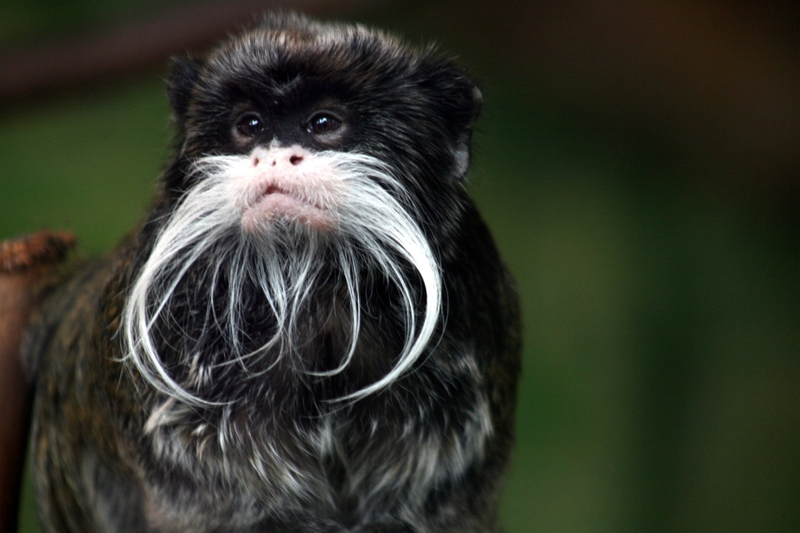 The GBV class of viruses has been shown to cause hepatitis in New World monkeys known as tamarins. A series of serological and animal experiments since their discovery, though, has found no strong evidence to associate GBVs with any known human disease, including other hepatitis viruses. Our virus of interest today, GBV-C, has genetic similarities with the pathogenic hepatitis C virus (HCV), however, making it an intriguing subject. Researchers over the years have peeled through GBV-C’s morphology and epidemiology in an attempt to compare it with its pathogenic cousin. While screening blood from transplant recipients and patients with hepatitis or other illnesses found no link between the two hepatitides, a surprising correlation was instead found between GBV-C in HIV-positive individuals. In the same year (1998), a Japanese team from Nagoya University School of Medicine and group of scientists at Hannover Medical School in Germany found lower mortality rates and improved clinical outcomes among HIV patients who were co-infected with GBV-C. However, there were flaws in these initial reports – correlations, after all, do not define concrete relationships – and many scientists were not satisfied. So the race continued. Larger follow-up studies asked whether GBV-C could really slow down HIV progression and, if so, how. Perhaps to show how serious they were, scientists soon abandoned the personal link of the virus’s origin and started calling it Human Pegivirus (HPgV). A group from Germany published their findings from a 20-year long follow-up of 197 HIV patients with GBV-C viraemia. The term viraemia is derived from the Latin suffix –emia which means blood-related. It simply means that a virus (in this case, GBV-C) is present in a host’s circulatory system. The presence of a pathogen in blood tells us that it has access to the rest of the body. Diana Ernst and her team took to these studies and performed an intensive analysis at the Hannover Medical School on patients who received HIV antirviral therapy (HAART) and HIV patients who did not receive it. They wondered whether the two cohorts would differ in GBV-C co-infection rates. In the end, they wrapped up their report with a sound suspicion towards HAART, arguing that the therapy suppresses the benefits incurred by GBV-C co-infection. Other investigators from the University of Iowa reported similar results. So what’s going on? By virtue of the fact that GBV-C has been around longer than existing HIV antiviral therapies, there must be a documented number of cases for people with low HIV progression without clinical interventions. And if there are, which ones and how many include a GBV-C/HIV co-infection? Given the research outlined above, it is possible that HAART inadvertently targets GBV-C while targeting HIV, ironically breaking the antagonism between the two. And ultimately, if you can’t have both, which treatment is the better one? Fortunately, experts are working on elucidating the molecular relationship between the two viruses. When Jinhua Xiang partnered up with Jack Stapleton at the Internal Medicine Center at University of Iowa, both groups were busy running cultures and designing experiments to examine whether GBV-C physiologically inhibits HIV. As they tested GBV-C/HIV co-infection in peripheral blood cultures, they saw a significantly reduced level of HIV particles multiplying in the cells. They discerned this by measuring a specific HIV-associated protein called p24. p24 is a distinctive HIV structural protein, and it is useful for diagnosis. To explain this inhibitory relationship on a mechanistic level, the researchers found that a protein called NS5A from GBV-C truncates a common “entry gate” that HIV uses to bind to human cells during infection. Gaining from this result, Xiang and Stapleton went on to identify other molecules that can inhibit HIV entry into host cells, and others more that could lead to an inhibitory effect on the virus. And even though direct clinical application might seem unnerving (try explaining to a patient infected with HIV that you would like to infect them with hepatitis), doctors may eventually use GBV-C as immunomodulator to supplement HIV treatment. In addition to gaining some popularity for being a lethal partner against HIV, this sensational flavivirus has been reported to have additional beneficial effects. Recent reports suggest that Ebola patients have a higher survival rate when co-infected with GBV-C. Ebola, however, is a whole other class of viruses from HIV, and many scientific questions have to be answered before any absolute conclusions are made. Ready or not, the world needs to accept that not all viruses are bad. In fact, the vast majority of viruses, just like the vast majority of bacteria on Earth, are not actually pathogenic to humans. Viral therapy is a very real possibility for the future of medicine as researchers turn to beneficial viruses to help fight pathogenic ones. In fact, viral therapy has already staked a pretty good claim in the present.